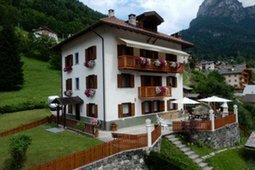 In Agordina valley, in the south of the Marmolada massif, is situated at 1000 m the typical mountain village of Alleghe, bounded in the east of Mount Civetta. 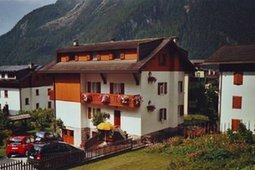 The name Alleghe has its origin probably from the latin word "alica" that relates to the term "alicarius" which is synonymous with barn or the "upper part of the house". Indeed, the corn or straw was stored in this part of the house. In the twelfth century there was already a large community (at least so large that a chapel for religious services was needed), but only after the great landslide of 1771 that from Mount Spitz buried the whole valley, including some villages, formed a natural dam. Thanks to this dam developed its picturesque lake of the same name. 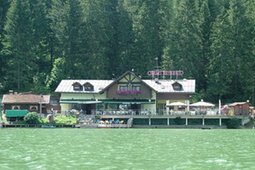 Since the last century the lake has become holiday destination for nature lovers and reference point for some winter sports like ice skating and ice hockey. The inhabitants of Alleghe celebrate the patron saint San Biagio on the 3rd of February, to which is dedicated one of the two municipalities. 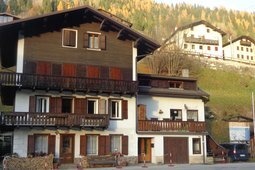 The house is located in a quiet and convenient position about 300 m. from the skiing resort Ski Civetta and at the same distance from the main square of Alleghe. The apartment has a kitchen, a living room with satellite TV, two bathrooms, two double bedrooms and a single room. 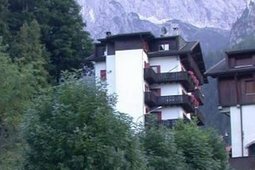 Villa Elena in Alleghe is an accommodation facility surrounded by greenery, in a quiet and panoramic position with wonderful view of Lake Alleghe and Civetta mountain. Villa Elena has two bright and spacious apartments ideal for families and lovers of the nature. 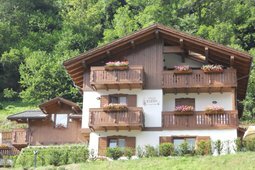 The chalet is located on the shores of the lake of Alleghe Lake, at the foot of the Civetta, surrounded by the Dolomite passes. 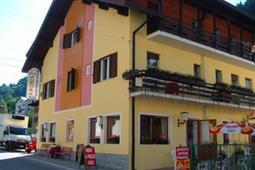 In this environment you can spend a winter holiday of pure skiing in the Dolomiti ski area. 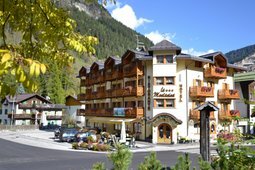 From Alleghe you can do the tour of the 4 mountain passes. 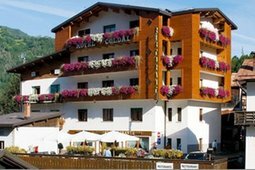 The holiday apartment Lidia is located in the centre of Alleghe, just opposite the departure of the skilifts of the Civetta ski area and very close to the beautiful lake of Alleghe, where you can take amazing walks. 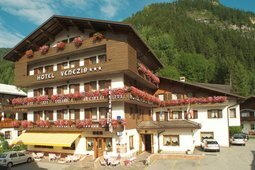 The Hotel La Montanina is located in Caprile, in the heart of the Dolomites. 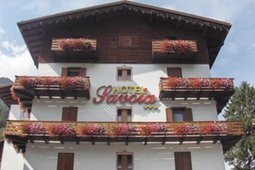 It is very close to the Marmolada and Civetta and is the ideal place to stay overnight and set off on excursions in a unique landscape. Typical dolimitical house recently built and located in a very quite zone; it has a wonderful view on Alleghe and its lake and it is two kilometres far from Civetta-ski-facilities. It has 4 apartments, each with TV sat, use of washing machine, barbecue. 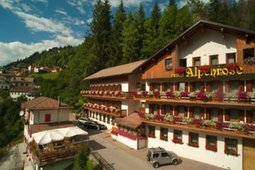 The Hotel Alpenrose is located in a quiet spot near the center of Alleghe and the ski facilities of Mount Civetta. 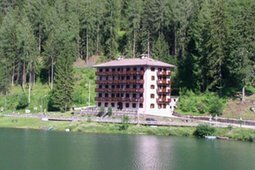 The hotel boasts a panoramic position, with view on the lake of Alleghe, and offers a traditional ambience.